For a long time I was vehemently against napping. Before I mastered the nap, I was prone to self-induced sleep inertia—that groggy feeling after you wake up that can last for hours. I rarely felt any kind of relief after napping, and I resented how much I struggled to fall asleep during the day. I still know lots of people who aren't keen on naps, or don't believe it's appropriate for adults to sleep during the day. 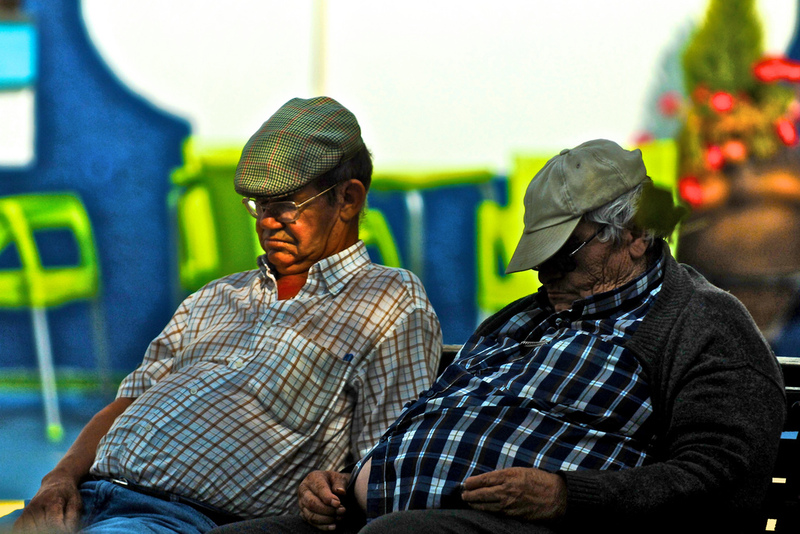 In fact, a recent study showed a possible link between increased mortality and daytime naps, though the evidence is inconclusive, and inconsistent when compared to other studies showing that naps can decrease risks of heart disease and death. In case you're curious, there have actually been several studies on naps that have shown they can have lots of benefits. To start with, naps are pretty fun once you get the hang of them. We'll look at how to have a perfect nap later, but suppose you're great at napping and you're reaping the benefits each time you do so—doesn't it sound fun to jump into bed for a lie down every afternoon? Besides, there's the obvious benefit that a nap will stave off sleepiness for a while. Science shows that napping has cognitive benefits for us, as well. For instance, sleep helps to clear out your brain's "inbox" of information: as you take in new information during the day, it gets stored temporarily in your hippocampus. Once the hippocampus is full, you can't take in anything new, which is why all-nighters have been found to reduce studying effectiveness by 40%. A nap helps to clear out the hippocampus, moving that information to long-term memory. It’s as though the e-mail inbox in your hippocampus is full and, until you sleep and clear out those fact e-mails, you’re not going to receive any more mail. It’s just going to bounce until you sleep and move it into another folder. Of course, a full night's sleep will do the same job, but if you max out your memory by the afternoon and find you're struggling to take in anything new, a nap could help. Similar benefits have been found in preschool-age children who were tested on memory tasks with and without taking a nap. You can imagine why naps are even more important for kids: when your short-term memory is limited, it's bound to fill up much faster and more often than it does for adults. For long-term memory improvement, several studies have shown that naps can have an effect on declarative memory—that is, memories you can consciously recall, like facts and personal experiences (the other type of memory is procedural, which we recall subconsciously—e.g. remembering how to ride a bike). One set of studies tested the length of naps to see how they affected declarative memory, and found that a short nap of just six minutes was enough to create a marked difference compared to subjects who stayed awake before testing their memories. A longer nap of around half an hour, however, showed an even bigger improvement in memory testing (shown in the graph below). Besides improved memory and learning, naps are useful for increasing alertness, work performance and overall cognitive functioning. And in case you were thinking an afternoon coffee would do the trick just as well, caffeine has actually been shown up by naps, at least when it comes to motor skills and memory enhancement. So you want to take a nap, but how to go about it? Probably the biggest question around naps is how long they should be. As I mentioned earlier, napping for the wrong length of time can lead to sleep inertia—a groggy, sleepy feeling that can potentially hang around for hours. Sleep inertia is worse when we wake up during a stage called slow-wave sleep, which isn't something we can control. However, we tend to spend more time in this stage of sleep after being sleep deprived, so it's a good thing to keep in mind if you're planning a nap after a night of little sleep. Although researchers haven't agreed on a specific length of time that's best for napping (and it will differ for each person anyway, depending on your sleeping habits), there is a general consensus that 10-30 minutes is the time period to aim for. Napping for longer than half an hour puts you at higher risk of sleep inertia and potential health risks (though, again, the evidence for this is inconclusive so far, as naps may actually be a consequence of health issues, rather than a cause). Naps as short as 5-10 minutes have proven to benefit the napper immediately, and for up to three hours afterwards. One study looked at sleep onset latency, which is the length of time it takes to fall asleep, and found that for short naps (around six minutes), the longer it took to fall asleep, the less memory benefit came from the nap. With this in mind, doing everything you can to help yourself fall asleep quickly seems worth the effort. An article from Harvard Health suggests keeping the room dark, quiet and cool to help you fall asleep faster. It also says that having a regular nap time can help you to fall asleep and wake up faster, as your body gets used to the routine. It's been a while since I've napped regularly, so the first thing I'm going to try is setting a regular nap time. Perhaps I should start playing Memory when I wake up to see if I'm getting any tangible benefits from my naps, too. Naps move new information into long-term memory, freeing up space in your brain for learning new things. Naps are useful for increasing alertness, work performance and overall cognitive functioning. Aim to nap for 10-30 minutes for the best effects. Keep your room quiet, dark and cool to help you fall asleep faster.